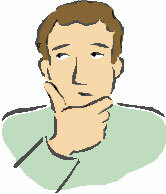 academiblog: Making endless decisions -- that's why writing is so hard! Making endless decisions -- that's why writing is so hard! Having to make too many choices can affect one's ability to stay focused, finish work and do complex mental tasks, finds a study in the Journal of Personality and Social Psychology. Almost 400 people took part in seven experiments in which some were asked to make choices or rate various products. The more choices individuals had to make and the more time they spent deciding, the worse they fared on later tasks, regardless of the complexity of the choices. That's what makes writing so difficult. Every word you write, every turn of phrase, every decision to add or omit content -- they all involve decisions. Deciding whether to expand on a point or whether you've done enough explaining can leave you feeling as though you've run a marathon. This makes it clear why binge writing is so bad for you. It literally drains you of brain power, so that the next day, and the day after that, you feel ill when you consider sitting down to write. Just writing this has exhausted me. I think I'll go lie down (see my post on sleeping). I am enjoying reading about your advice, comments, hints, etc. I'm a new participant in your June workshop/writing club. In terms of these ideas on decisions and binge writing I am curious about some of my habits. I would categorize myself as a binge writer. In fact, I only seem to get things done if I have an external deadline that requires a written submission. I'm a thinker more than a writer and I find that I have not learned how to write if I do not have things conceptualized in my head first - I need to know what I'm going to say before I can say it (A big decision) so I'm juggling many tasks in my mind instead of on paper - I find the opposite process of "Not knowing what you have to write until you write it" puzzling but I can understand the principles behind it. Thanks muchly for stopping by my blog and offering the words of support. I used to be a binge writer when I started working on my dissertation. I often felt the same way that the article and your post describes. A couple of days of binge writing and then I'd walk away for days, even weeks. Now I'm on a steady diet of regular dissertating which involves either working on a certain # of pages everyday or a certain # of hours (I vary between the two otherwise I've noticed I tend to feel less inclined to write) and stopping when I meet my goal for the day rather than going on because I'm afraid I won't come back or be able to start again. And I have to admit that I'm getting a whole lot more done incrementally. Baby steps right :-). Thanks for this post. Tiffany, what I would say about whether to binge or not is to do what works for you. If you are productive and find that it doesn't interfere with your quality of life, you don't have to change your style. On the other hand, there is a satisfaction in learning how to "write first, think later." It means getting past the overly critical and perfectionistic left-hemisphere style thinking and allowing your writing to be crummy, temporarily. You need to have faith that you can fix it later. As to the endless nature of writing; I'm not sure what the fix for that is, but if you've been able to complete a Ph.D. and get a job as a professor, I'm sure you're good at delaying gratification! The research does show that daily writers publish more in the long, so do get more gratification overall. BW, I think your method of alternating between page and time goals is interesting. There is someone in one of my online writing groups trying that right now. I guess I'd see the page goals as an extra challenge on certain days, to make things more interesting. Thanks for dropping by!